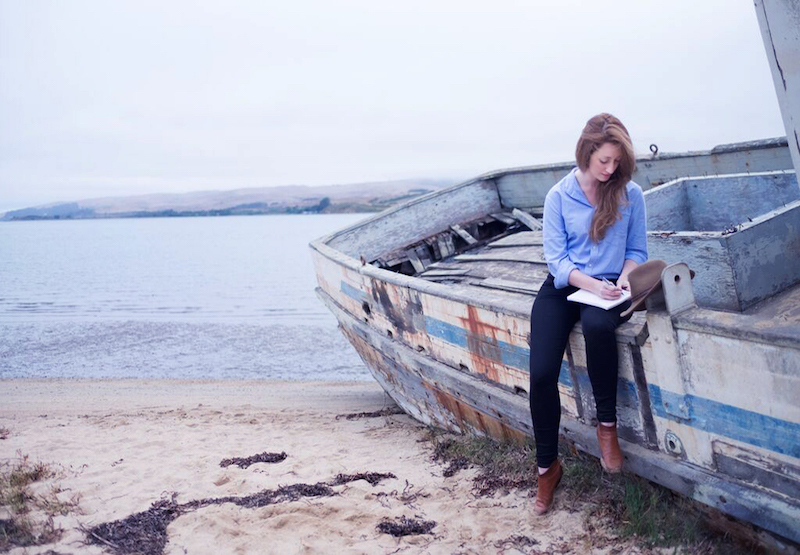 It's been quite a while since we had a Q&A up in these parts, and I'm so excited to get back into that groove with writer Summer Brennan—she's as adventurous and passionate as they come, and quite industrious too. 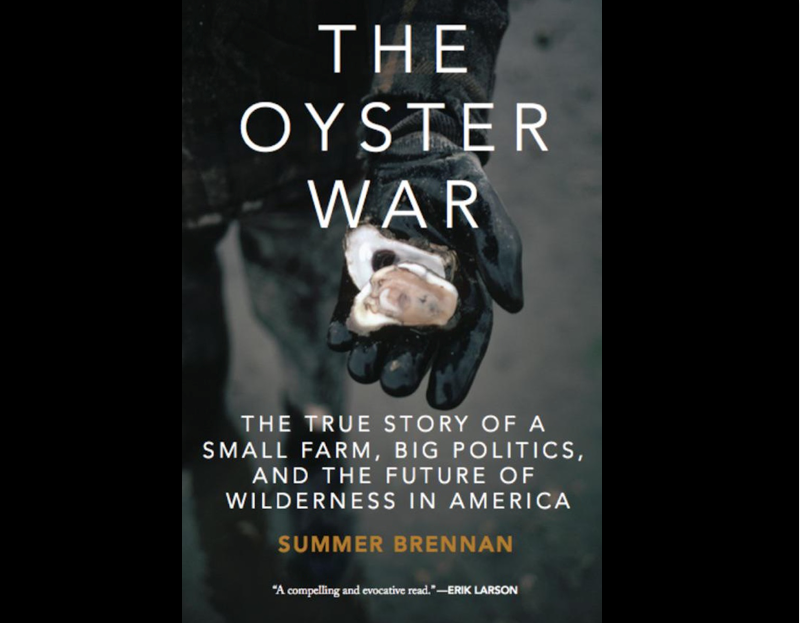 Her first book, The Oyster War: The True Story of a Small Farm, Big Politics, and the Future of Wilderness in America ($18.95) comes out tomorrow and from just hearing a morsel of the story, I can not wait to get my hands on a copy! Summer tells us a little about her book below, followed by her Q&A. SB: When I called up my old hometown newspaper in the late winter of early 2012, I wasn’t looking for a full-time job. I was just another Brooklyn-based freelance writer and thought it could be interesting to pitch them an environmental story about the nearby nature preserve in Northern California where I grew up. When I was offered a job as staff reporter instead, I thought, why not? Why not choose adventure? What I didn’t expect was to quickly become embroiled in “the oyster war,” a local controversy with national significance, in which an oyster farm was fighting to continue operating inside a national park. There were foodies on one side of the divide and environmentalists on the other; two groups I’d always identified with rather equally. The story was full of intrigue, passion, fascinating characters, farce, and even some espionage, and right away I thought it would make a great book. So for the next two and a half years I traveled back and forth from New York to California, living out of a duffel bag, crashing on couches or in a borrowed Westfalia camper van that belonged to some friends, haunting libraries, interviewing farmers and scientists and retired politicians, and spending time in nature. 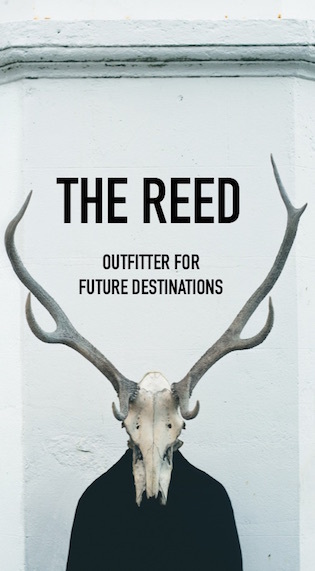 The result was my first book, a work of narrative nonfiction called The Oyster War: The True Story of a Small Farm, Big Politics, and the Future of Wilderness in America, which also examines broader questions of belonging and what it means to be wild. It was a great opportunity to reconnect with the outdoorsy side of myself, and resurrect my inner tomboy. Watercolor by Summer of her gear. If not in Brooklyn, I would live...somewhere along Tomales Bay next to Point Reyes National Seashore, or in the nearby town of Fairfax. I love those remote coastal villages, but have grown accustomed to being able to go to the grocery store or a coffee shop without having to get in a car. My dream vacation would be to...go island hopping in a small sailboat, maybe in the South Pacific or the Caribbean, for about six months. Food: oysters with the perfect combination of sweetness and brine; grilled figs on whole grain toast with cream cheese and honey; basil ice cream; homemade granola from Molly Weizenberg’s recipe. Kale and baked beans with a fried egg on top – I called it my Brooklyn Cowboy Breakfast. Music: I’ve been really feeling Nina Simone these days. She makes me want to finally get a record player. Fashion: I’m interested in keeping it simple to preserve my energy and attention for other things. I also like the idea of a personal uniform, which for me usually means black skinny jeans with a men’s button-down or a drapey tee (tucked, and in neutral shades.) Ankle boots if it’s cold out or flat sandals if it’s hot. Also, Chucks. In a professional setting I’ll swap in a silk shirt instead of cotton, and add heels and/or a blazer. Retail stores/brands: I’m a sucker for heritage brands and anything that comes with a lifetime guarantee, like Filson, Fjällräven or Pendleton. I have a Burberry trench from the 80s that will probably last forever. I like Acne Studios for denim and knitwear. Lately I’ve found some great basic tees and shirts from Everlane. Rachel Comey makes the best New York City shoes, which are stylish but comfortable enough to walk in for miles. My favorite brick and mortal shops are all bookstores: I love McNally Jackson, BookCourt, Greenlight Books, Word, Three Lives, and Community Bookstore in NYC, and Point Reyes Books in California. I channel my childhood self when I...read sci-fi or fantasy books, or visit a science museum, aquarium or planetarium. If I had to be outdoors all day I would...be very happy about it, but would have to wear lots of a very high SPF sunscreen. My favorite qualities in a man are...resourcefulness, loyalty, irreverence and appetite. My favorite qualities in a woman are...passion and eccentricity. I’m terrified of...not getting to do the things I want most. My dream car is a...1985 navy blue Jeep Cherokee that has been magically transformed to be 100% electric. My cocktail of choice is...champagne. My celebrity crush is...Neil Degrasse Tyson or Jane Goodall. My friends and I like to...meet over oysters and talk about books. If I could go back in time for one decade it would be...to the 1910s, provided I had enough money and freedom to travel the world and write about it. As a teenager I was totally into...going hiking and taking walks on the beach; Shakespeare; reading poems by Pablo Neruda, Mary Oliver and Rumi; writing real letters; wearing cotton dresses with hiking boots; floral prints; dressing up with my friends and going ballroom dancing. 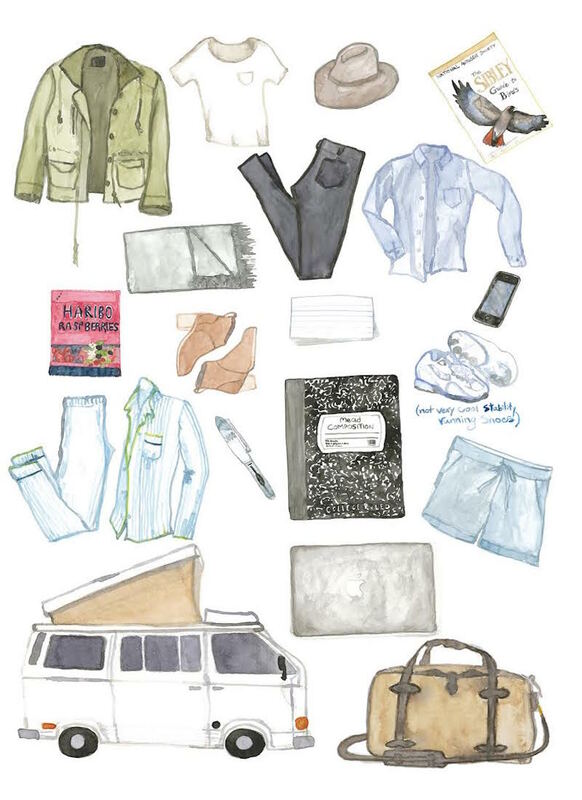 I tend to splurge on...travel, things that are built to last, and books. My sense of adventure...is what makes me have Tomboy Style. Damn! Another smart and interesting woman. I'm impressed with her choices for "celebrity crush." My husband knows that I have a "pass" on Nobel Prize winning Neuropsychiatrist, Eric Kandel. Yes, he's 85, but brilliance and a sense of humor go a long way! Can't wait to read the book...especially since we have several oyster farms out here on "The End." Wow, I feel like Summer and I are kindred spirits: foodies, environmentalists, sisters of Hermione Granger. Plus, her watercolor of the Sibley Guie to Birds? Birding is love; birding is life. Love this and her--so great! Thanks for starting this series again! I've missed it! I want to be her friend - she sounds like a badass.